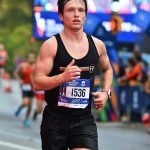 Kris Gethin came to Complete Human Performance a few months ago with a goal of helping prove that you can build muscle, strength, endurance, power, and performance all while not only training for triathlons, but also following a unique bodybuilding program as well. This past weekend, Kris completed his first Olympic distance triathlon in a total of 2 hours and 42 minutes, proving that you can simultaneously train for more than one sport and successfully become a hybrid athlete. Kris will now be gearing up for his Half Ironman in only two weeks, and we’re more than excited to see all of his hard work and dedication come together once again. The Half Ironman consists of a 1.2 mile swim, 56 mile bike, and 13.1 mile run. 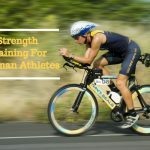 Throughout his journey, Kris has been documenting his combined bodybuilding and triathlon training through an innovative weekly video series called MAN of IRON. Over the course of six months, you will see how Alex Viada and Mike Fecik prepares Kris through an onslaught of tests and a new style of training.